Best friends Ayiva and Abas live hard lives in Burkina Faso and dream of a better future that seems to await them in Europe, as evidenced by the glittering snapshots they ve seen on social media of an immigrant s life abroad. Making the dangerous journey through Africa and across the Mediterranean Sea, they end up in the Italian city of Rosarno, only to lead equally hard lives of long working hours, harsh living conditions, and animosity toward them and the local immigrant population from the city s gangs. As each man tries to carve out his own success, their individual perspectives on the cards they ve been dealt cause them to drift further apart until a shocking event both unites them in a common struggle and hurtles them into wildly different futures. 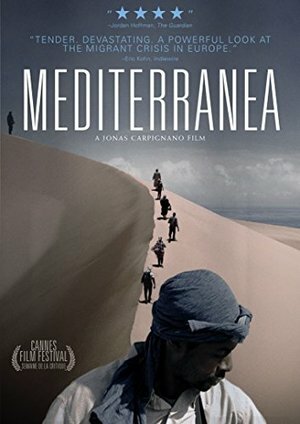 Equal parts shocking and moving, MEDITERRANEA is an eye-opening look at the life-and-death struggle of refugees.